When a mom loves, she loves unconditionally. This rings especially true for Aspen, a young mother cat who was found on the streets of Texas last week with her two newborn kittens. She didn’t know it at the time, but her tiny family was about get much larger — and even more adorable. 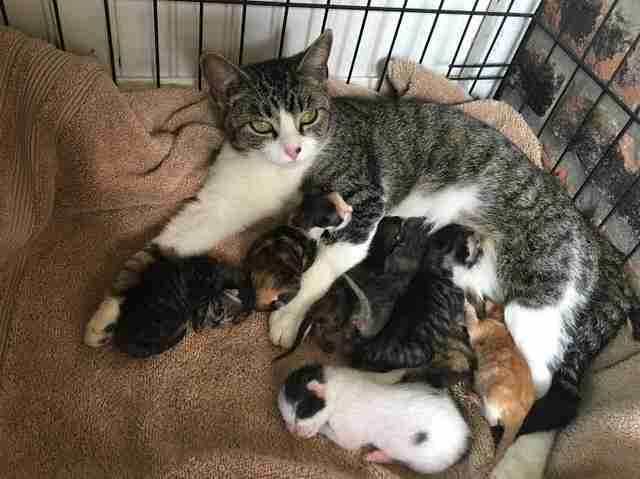 Koby Wegge, founder of Sycamore Tree Ranch farm sanctuary, had a litter of four rescue kittens who weren’t being nursed by their biological mom, so she contacted Parker Paws, where Aspen and her babies were staying, with a special request: She was looking to foster a mother cat who could raise the babies as her own. The shelter workers instantly knew Aspen would be a great match. They had already introduced her to another orphaned kitten someone had dropped at the shelter, and they bonded right away. 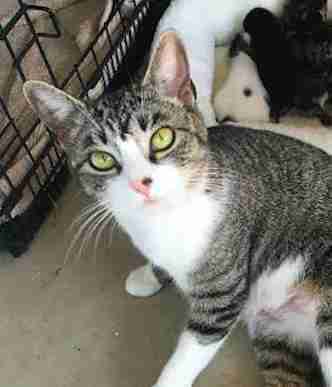 Soon after, Wegge got a call from Aspen’s rescuers at the shelter about yet another orphaned kitten, who had been found crawling around someone’s lawn all alone. Just like with the other orphans, Aspen was instantly smitten. Since all the kittens are only about a week old, Aspen spends most of her days snuggling and nursing them. She loves them so much — but is glad to let Wegge and her young daughter help out, too. 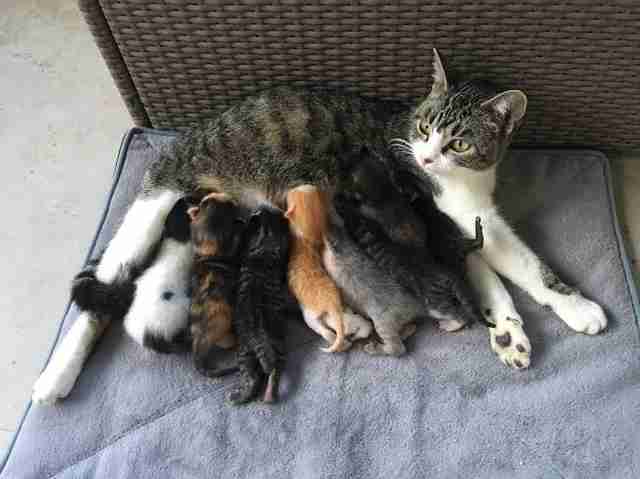 They help her keep up with nursing by bottle-feeding the kittens a few times each day. 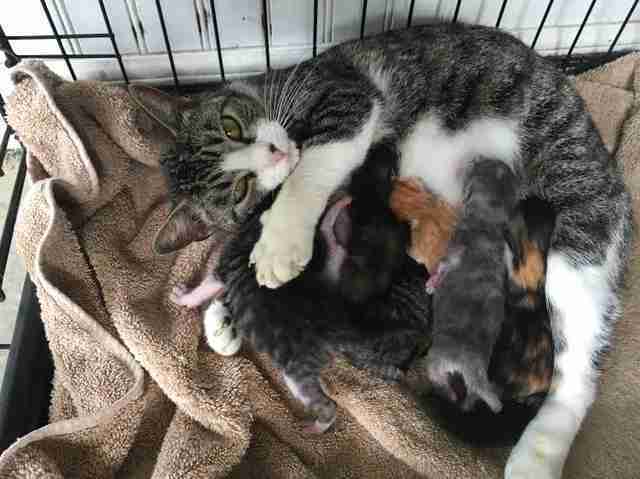 Aspen and her babies will be together for at least the next seven weeks until the kittens are ready to be weaned. Then they will be available for adoption through Parker Paws — but Wegge is already considering keeping Aspen and some of the babies. There are three boys and five girls. To wish Aspen a happy Mother’s Day, and help more animals in need, you can make a donation to Sycamore Tree Ranch and Parker Paws.